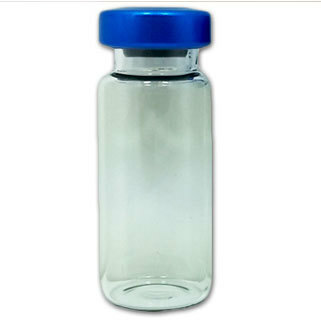 10 mL clear glass depyrogenated and sterile vials that are Type 1 borosilicate assembled with butyl stoppers. BLUE or SILVER aluminum seals. Neck size is 20mm and sterilization processes are carried out under strict Class 100 U.S. Pharmacopoeia and Federal Code of Regulations methodologies. Assembled units are sterile and free of all endotoxins and meet the FDA's mandated 14-day sterility testing protocol.